No modification, additions or deletions to these conditions shall be effected by the client's official forms or otherwise, without the written consent of Popup Circus. 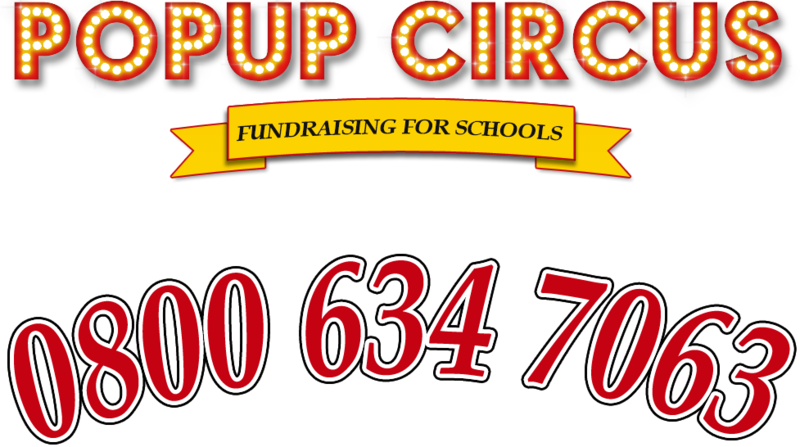 The fee for the circus is payable in cash, BACS (before the day) or cheque on arrival. Other secure methods of payment such as a Building Society cheque or a Bankers Draft are acceptable subject to prior agreement, which can be arranged by telephone. ALL CHEQUES SHOULD BE MADE PAYABLE TO 'POPUP ENTERTAINMENTS'. Please note that our bank charge us £10 every time a cheque is presented and does not clear, this charge plus an additional administration charge of £10 to help cover our administration costs is added to the client account in the event of a cheque being returned unpaid. A Booking Fee of £100 is payable at the time of booking, normally this is paid by BACS or cheque. If the client prefers a different method of paying the Booking Fee, then the date of the entertainment will be held for four working days from the date of our telephone agreement, after which time it may be let to another client. Failure to send the Booking Fee does not relieve the booker/client of any obligations under these conditions of booking. Should the client decide to cancel the entertainment with less than 60 days notice then the full fee less estimated travel costs shall become payable. If 61 or more days, but less than 90 days notice is given, then a cancellation fee equal to 25% of the entertainment fee shall become payable. In the event of another booking being accepted by us for the same day after the notice of cancellation is received, then the cancellation fee will be returned in full minus the Booking Fee paid. Cancellations with at least 90 days notice are accepted without further charge. In all cases of cancellation the Booking Fee will be forfeited by the client, but can be used in part payment of any monies due under these conditions. A BOOKING CANCELLATION CANNOT UNDER ANY CIRCUMSTANCES BE ACCEPTED BY EMAIL. To cancel the contracted arrangements the following course of action must be followed. First call our office ASAP to advise, leave a message if out of office hours, then call again to make sure we have your message. Then as soon as is practicable, but certainly within seven days, confirm your wishes in writing by sending a letter by 'Signed For Post' to our office, along with a cheque to discharge any cancellation fee as detailed above. We will acknowledge receipt in writing once your letter and all monies due are received. It is only on receipt of this letter from us can the client be sure that the contract has been cancelled. It is the clients' responsibility to provide suitable and reasonable protection of our staff and equipment. In addition Popup Circus cannot accept liability for the safety of the public in situations outside our direct control. It is the clients responsibility to ensure public safety whilst the public are on the clients property. Should any problem arise which causes the client to postpone the entertainment, it will be rescheduled for a mutually convenient date, at no additional cost. A deposit is usually required after a postponement equal to half the entertainment fee. We would expect to reschedule the entertainment for a mutually convenient date later in the year. The entertainment will take place on the day and at the place set out in our written confirmation. If this is not to the clients understanding then the responsibility is with the client to contact Popup Circus. You and your guests are welcome to record on video and take pictures including the use of flash and mobile phones parts of the show or the show in full other than when directed by a member of our staff, so long as doing so does not, in the opinion of Popup Circus, affect the smooth running of the show. Due to certain copyright laws your recording must be for private viewing only. The client should note that Popup Circus does not supply these and they are the responsibility of the client. Popup Circus cannot be held responsible for any event such as, but not limited to, fires, explosions, earthquakes, tidal waves, floods, war, public unrest, rebellions including strikes, road closures, accidents, police action or acts of terrorism. Some of our equipment is very heavy, it is therefore important that we have clear access to the performing area whenever possible. Popup Circus reserve the right to charge a Roadie Fee if we cannot park within 100 metres of the performing area. These conditions and any entertainment that takes place under them shall be governed, construed and shall take effect in accordance with the laws of England.